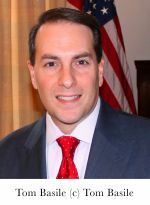 Tom Basile is a Forbes opinion contributor, national political commentator, radio host, a faculty member of Fordham University, and principal of the New York–based strategic communications firm Empire Solutions. He has served in government at the local, state, and federal levels. 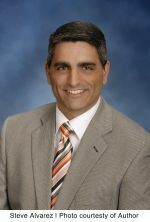 Basile is a former Bush administration appointee and served as senior press advisor to the Coalition Provisional Authority in Baghdad from 2003 to 2004, for which he received the Joint Civilian Service Commendation Medal. Soner Cagaptay is the Beyer Family fellow and director of the Turkish Research Program at The Washington Institute. A historian by training, Dr. Cagaptay has written extensively on U.S.-Turkey relations, Turkish domestic politics, and Turkish nationalism. 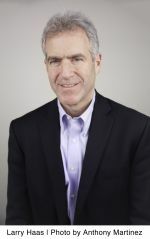 He has taught courses at Yale University, Princeton University, Georgetown University, and Smith College on the Middle East, Mediterranean, and Eastern Europe. From 2006 to 2007 he was Ertegun Professor at Princeton University’s Department of Near Eastern Studies. Dr. Cagaptay’s work has been published regularly in scholarly journals and in major international print media, including the New York Times, Washington Post, and the Wall Street Journal. He has been a regular columnist for CNN-GPS and Hürriyet Daily News, Turkey’s oldest and most influential English-language paper, and he appears frequently on radio and television in the United States and abroad. Raúl Gallegos, a senior analyst for the consulting firm Control Risks, has been a featured columnist for Bloomberg View, covering Latin American politics, business, and finance. He has been an oil correspondent with Dow Jones and the Wall Street Journal. Lawrence J. Haas is a senior fellow at the American Foreign Policy Council and former communications director for Vice President Al Gore. His writings have appeared in the New York Times, USA Today, U.S. News & World Report, and many other outlets. 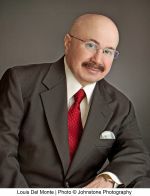 He has published several books, including Sound the Trumpet: The United States and Human Rights Promotion. 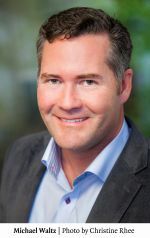 Michael G. Waltz is a lieutenant colonel in the Special Forces (reserve component), president of Metis Solutions, and senior national security fellow at the New America Foundation. Formerly, he was commander of a Special Forces company, counterterrorism advisor to the vice president, and director for Afghanistan policy, Office of the Secretary of Defense–Policy.